Mask's phone pocket allows for devices 6" x 3.25"
You've heard the old tales when Cyclops roamed the earth causing havoc for the old heroes. Why do they only have one eye? We may never know. But they're one of the most fearsome foes to ever grace mythology, and finally, the brutish Cyclops is back from the dead, walking among us again! 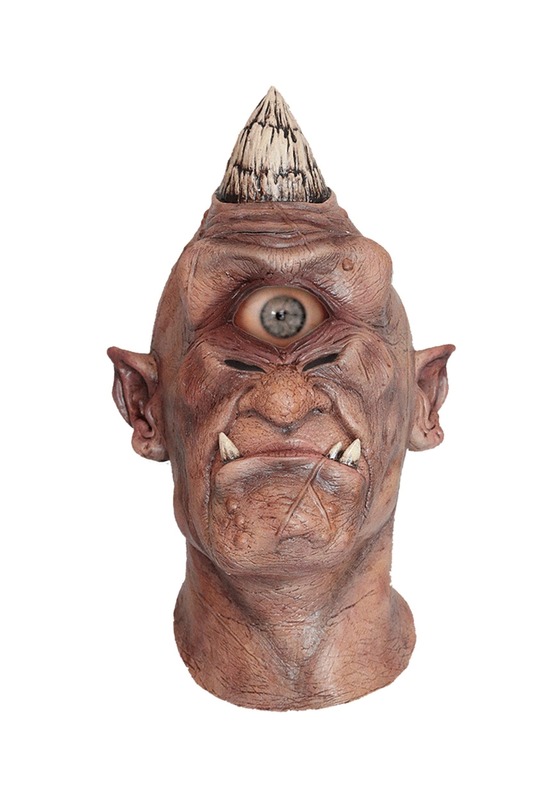 Okay, okay... that might be a bit hyperbolic, but this Cyclops mask REALLY is cool, and it's one of the best masks we've seen that's sure to get some attention anywhere you go. Just put your phone at the top and let it play the animation and you're officially a living, breathing cyclops. The illusion is uncanny! Brulliant! Very realistic, the eye is not included though. Hello! Thanks for the review and input on the mask. Our apologies if you thought the eyeball is included with the mask. Android devices must be running Android 2.2 or greater. Mask is way too heavy with the phone sitting in it. Would be better for a stationary prop, but worried about someone stealing the mask with your phone in it! !